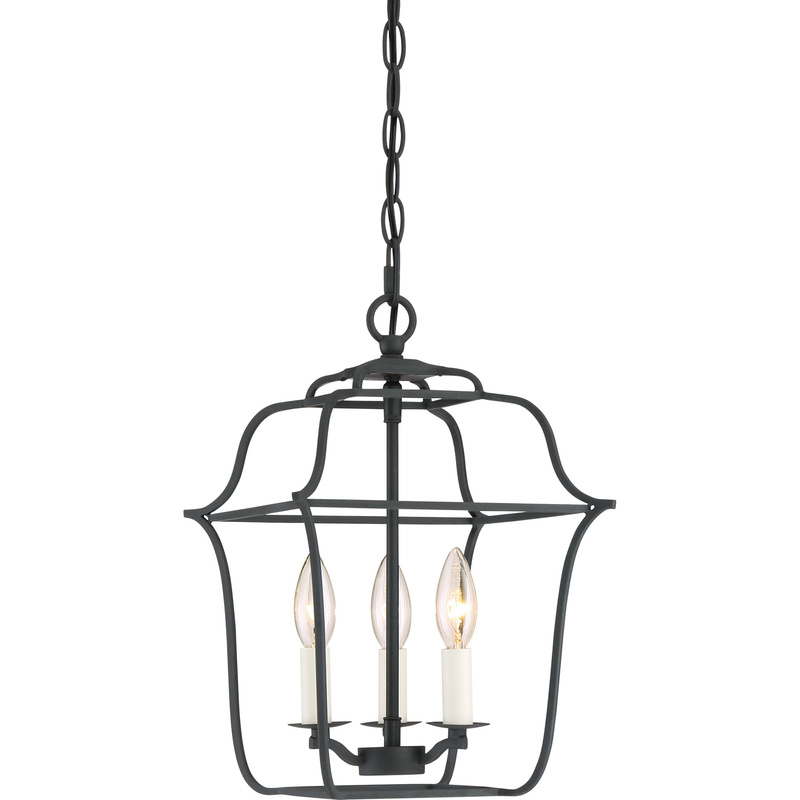 Quoizel Lighting Gallery Collection 3-Light foyer piece chandelier in royal ebony finish, features steel construction. This chandelier uses three 60-Watt candelabra base lamps that have voltage rating of 120-Volts. It measures 10-Inch x 10-Inch x 14.75-Inch. This chandelier comes with 12-ft lead wire for easy installation. It is ideal for kitchen and dining room. Chandelier is ETL listed.